Around this time last year there was much talk about marijuana legislation in Maryland. The possession of less than 10 grams law was about to go into effect, and state lawmakers were preparing proposals for pot decriminalization. The talk is quieter this year though, despite the fact that the state’s medical marijuana law is set to go into effect in October. The reason for the lack of buzz is likely due to the fact that the medical use program will not actually begin functioning until 2016. The law becoming effective will do little to help patients who want the drug now. But, a recent stance reversal by a prominent medical expert has the topic in the news this week. CNN’s chief medical correspondent, Dr. Sanjay Gupta, has reversed his public stance to now favor the implementation of legal medical marijuana programs throughout the country. A graduate of the University of Michigan, Dr. Gupta is currently working on a documentary entitled “Weed”, and has traveled the world to meet with the foremost experts on the subject. Dr. Gupta was once highly skeptical of the benefits of marijuana and he voiced these opinions publicly. But now the celebrity doc has come out strong in support of the drug’s potential positive existence in the medical world. He’s on record stating that the benefits are no longer conjecture, but supported by scientific experimentation and observation. Gupta believes that the public has been terribly and systematically misled about marijuana, and from his change of heart it appears that the doctor believes he has been misled as well. And while he may not be a lawmaker in Annapolis, or anywhere else for that matter, don’t think that Dr. Gupta’s strong opinions will go unnoticed. High profile opinions in favor of medical marijuana add instant credibility to the subject, and often lay the foundation for public support. This in turn convinces the politicians. Other celebrity personalities have also been voicing similar views. Maryland’s own Montel Williams has been publicly outspoken, and has even testified before the state legislature about the benefits of the drug. As a person who suffers from MS, Montel’s opinions are based on personal experience and have been highly influential in the state capital. It is too early to tell whether Sanjay Gupta’s statements will garner the newfound support in our state needed to speed up the process of legalizing pot for medical use. 2016 is a long ways away for Marylanders that are suffering in 2013 from ailments that can be mitigated by marijuana. The entire medical marijuana bill seems like a punt for the governor and other state politicians. It makes the process so much more complicated than it needs to be. The law is more focused on research than actually treating the patients, but as Dr. Gupta points out, the scientific evidence is already out there. 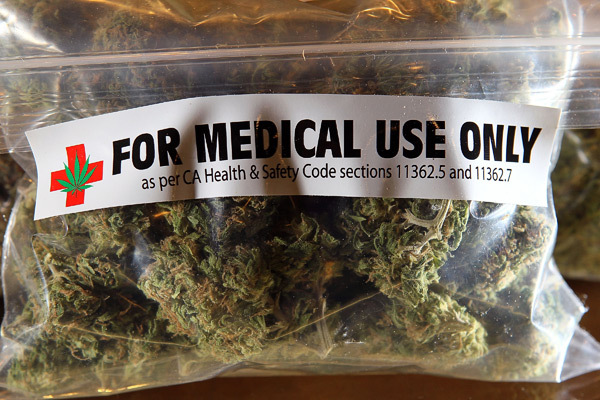 Marijuana is medicine, and proven highly safe and beneficial medicine at that. Benjamin Herbst, like Dr. Gupta, is a graduate of the University of Michigan. He is a marijuana lawyer, who specializes defending all types of drug crimes in Maryland. Contact Benjamin at The Herbst Firm for a free consultation about your case. Well-Respected Medical Correspondent Reverses Position On Medical Marijuana, baltimore.cbslocal.com.